Whether you are upgrading your current infrastructure or designing a new installation, trust the experts at CPI to deliver the most comprehensive line of Cable Management Products in the industry. CPI Cable Management manages and maintains the cables and cords that provide the critical support, reliability and flexibility needed to sustain and grow your network capabilities. Streamline the management of your cables and cords to optimize the signal quality and network speed of your information exchange. Organize cables so that they can be easily traced from start to finish when performing moves, adds and changes, saving you valuable time and money. Fulfill high-density cabling requirements while maintaining proper bend radius and slack management for maximum network performance. CPI offers vertical management products to create vertical and front-to-rear cable pathways. Select from a variety of managers to suit your application and budget. All CPI cable managers meet industry standards and feature high-quality construction and design. Vertical Cable Managers provide easy cable management solutions for a single rack or between two bayed racks. 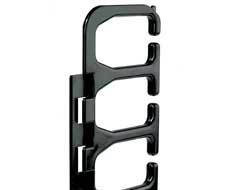 Single-sided and double-sided units are available to organize front and rear cables. Doors are included with select models to create a visually appealing installation. Accessories such as spools, straps and clips are also available for extra cable support and management. With enhanced interior features that maximize cable capacity and function, Evolution makes managing your cabling infrastructure easier than ever. 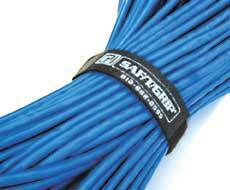 Designed for high-density and Cat 6a cabling. Available in single-sided, double-sided, combination and horizontal models. Patented Movable Mid-Sections maximize flexibility and function. Innovative cable bundle management and fiber segregation capabilities. Match the appearance of the popular TeraFrame® Family of Cabinets for a seamless and professional appearance. CPI offers several styles of 19”EIA rack-mount horizontal managers with varying options of cable support. Horizontal Cable Managers are available in a variety of cable guide styles, including simple bars and trays as well as rings and fingers. 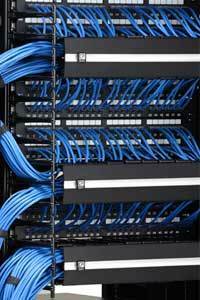 Designed to meet ANSI/TIA/EIA installation guidelines for Cat 6a cabling and fiber. Extensive product selection to satisfy various applicationsAvailable to meet project scheduling needs. Quality products that simplify network maintenance and costs. Perform easy moves, adds and changes to connections, saving time and money. 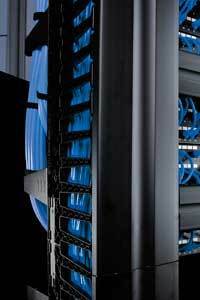 Supports future growth and cabling demands. To ensure a complete system solution, Chatsworth Products, Inc. offers a wide variety of cable management accessories for extra and optimized cable support and organization. Accessories such as spools, straps and clips can be used individually or with other cable management products to not only reduce clutter and lessen cumbersome cable slack, but to maintain and preserve the integrity of your cabling for years to come. Furthermore, organized cable management allows for greater flexibility when making important adds, moves or changes to your equipment. With that kind of optimization, CPI’s cable management accessories aren’t just a value-added bonus, they’re a straight path to network reliability.